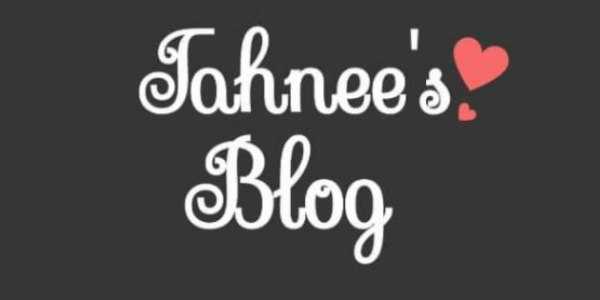 Hello my lovelies and as you can tell Autumn is in full swing over here at Tahnee’s Blog! I love this time of year and find myself full of inspiration! This post is all about bringing you that perfect Autumn bath and I have the perfect thing for you! Soaprise.me sent me this stunning hamper box to try and test and share with you all. How kind are they! So thank you very much indeed. They are an amazing company founded in 2016 and focus on handmade products. From soaps to bath bombs and even shampoo. They also focus on using 100% natural ingredients to be kind to both you and mother nature. This includes using 100% biodegradable packaging. Today I am just going to be looking at the products and will be posting 4 further posts testing 2 products at a time so keep your eyes peeled for that. However, let’s get started, shall we! Firstly let’s discuss the packaging which is gorgeous! The basket in the dark wood and the vibrant purple really suit but contrast each other. Similarly, the white and red themed products and paper clash beautifully against the background. So stylish and pretty that I just love it. Secondly, they were generous enough to send me a real smorgasbord of stunning items to try starting with these super cute heart soaps. These scents are coconut and raspberry and they smell divine! The coconut is really subtle and creamy while the raspberry is zingy, sweet and fresh. These will be a lovely treat for guests who use the bathroom that’s for sure! YUM! The other soap I was sent is a stunning watermelon slice with olive oil. Its fragrance is sweet and fresh with a nice blast of watermelon! I can’t wait to get this used as watermelon is one of my all-time favourites! Plus look at how funky it is in the red and green! Next up is the ‘Sensual Healing’ and in comparison, it’s a very rich scent from the soaps. Strong and moody it’s going to perfect for unwinding after a long and cold Autumnal day. This is called a bath bomb souffle and comes in a cute little, almost, cupcake-like case. A gorgeous fresh white bomb. With an added little pink glitter sparkle throughout just to make sure you’re feeling the absolute queen that you are when you’re done. Moving onto the next bath bomb we have this glam glitter bomb called ‘Love’. Again this has a very strong and rich fragrance, however, this time it has a beautiful rose blast. This floral element really is so lovely and fresh. Bringing back memories of Summer and fresh flowers! YESSSS! Plus just look at that decadent glitter and the shimmer on it! Just oozing luxury in the delicious ruby red. The Milk and Oats bath bomb is a very subtle creamy scent but will be perfect as the colder months come in. Avoid dry winter skin with this beauty. The white is so clean and just exquisite. The final bath bomb is this scrumptious Black Cherry bath bomb and urghhhh! I love this bath bomb! Cherry scented products, when they’re not too sweet, for me is just to die for. This one hits it perfectly for me to be honest. It borders on smelling like dib dab and a sure fire way to zest up a gloomy day for sure! Plus check out the beautiful red bomb and the awesome cherry on the top (lol). I am beyond excited to test all of these treats and I hope you enjoyed finding a great new place to find great bath products. Soaprise.me has so many great products available including monthly subscriptions boxes of bath bombs. Starting at £13.99 and with a huge selection of boxes of varying price. They really do have something for everyone. I am already eyeing their Halloween collection and their Christmas soaps for sure! Here is their link again if you’re into cute and quirky bath products, Here is the link. Thank you all for stopping by today and I hope you enjoyed this post. Until next time start enjoying those Autumn baths. Also another huge thank you to Soaprise.me for my beautiful gifts! I have got to try these. I’m a bath bomb addict. Have you ever tried making your own? If you do I hope you’ll post about it! These bath bombs look awesome. I haven’t really used any. I have done some epsom salts though.